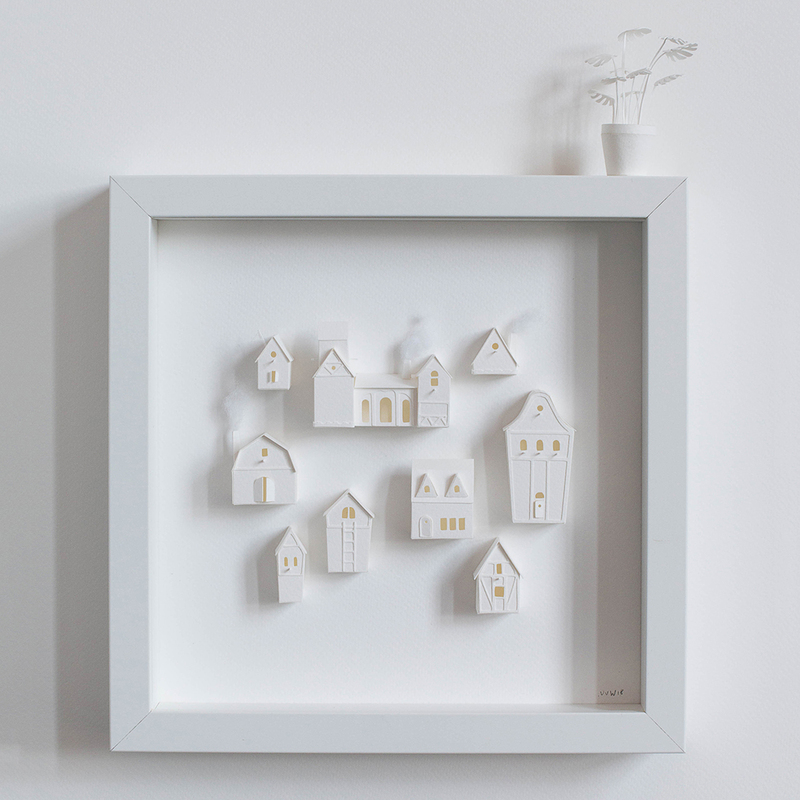 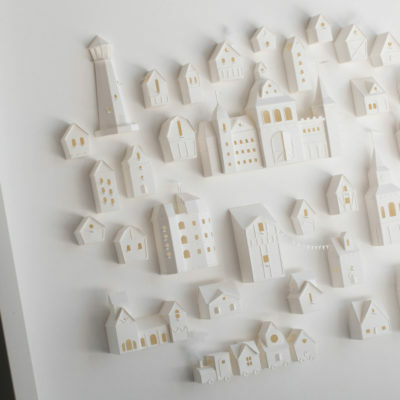 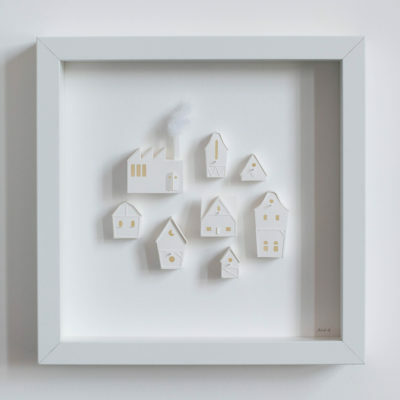 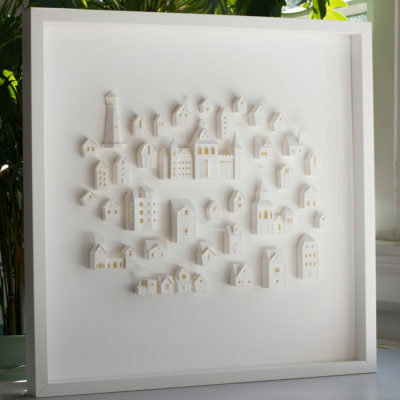 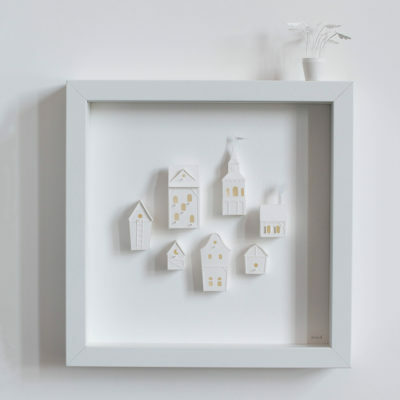 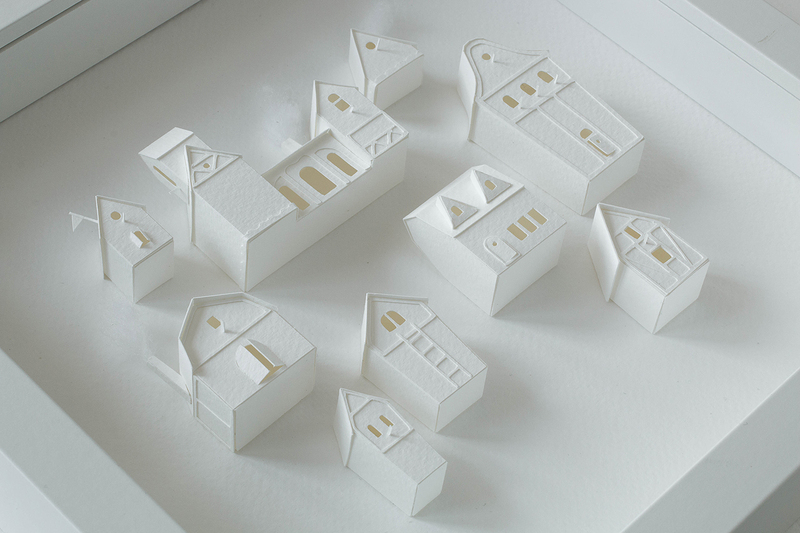 Framed artwork, containing 10 handmade miniature paper birdhouses. Every family is unique. 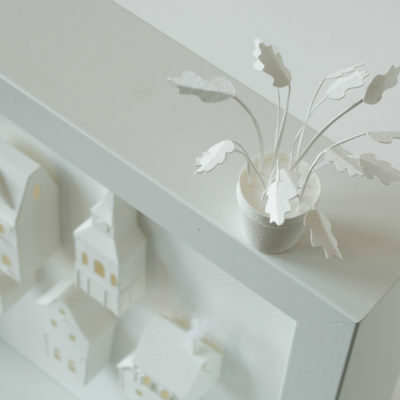 Comes with a tiny monstera plant, that can be placed on top of the frame. 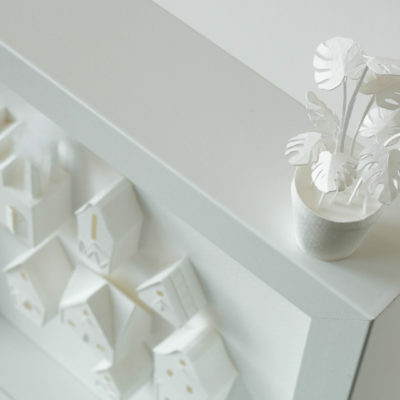 Comes with a tiny monstera plant that can be placed on top of the frame. 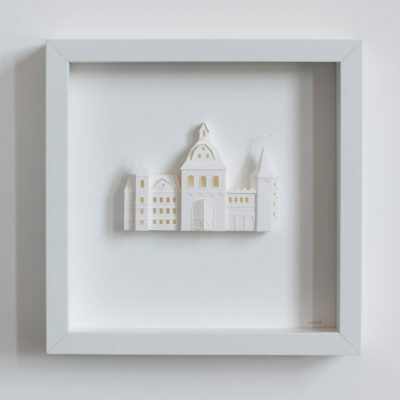 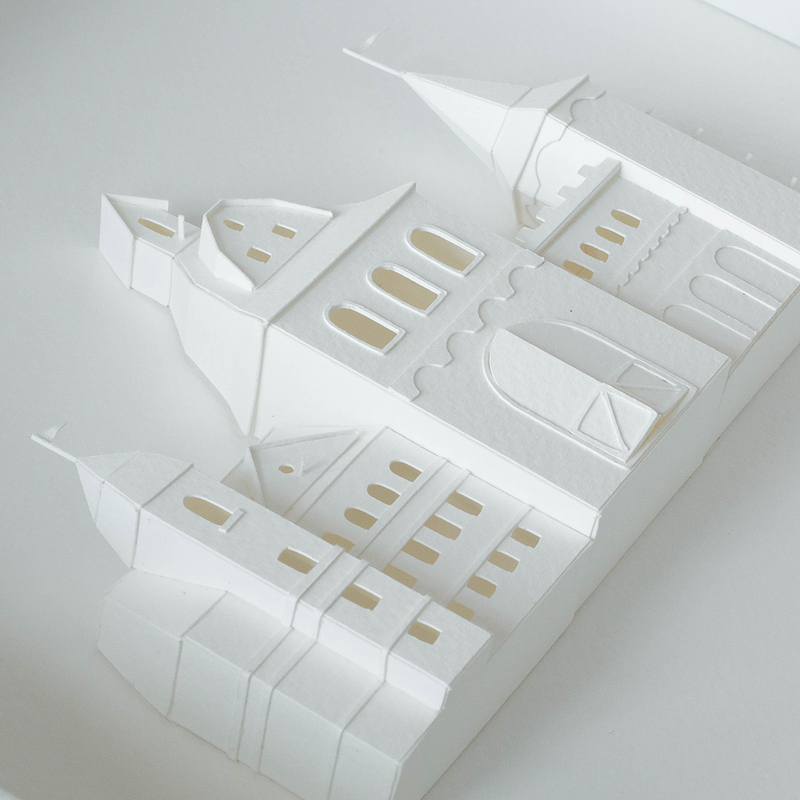 The frame measures 25 x 25 x 4.5 cm. 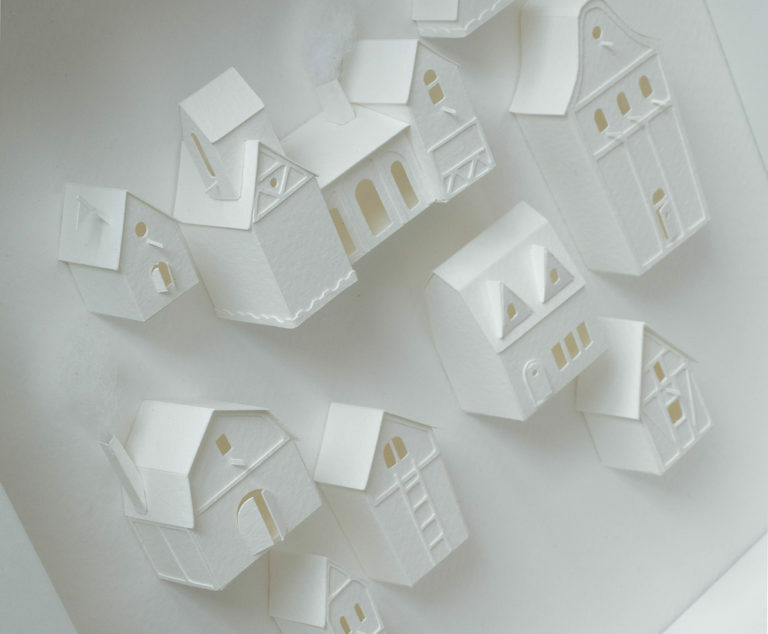 The birdhouses are made of high quality acid free watercolor paper.